Bournemouth is a large coastal resort town on the south coast of England directly to the east of the Jurassic Coast, a 96-mile (155 km) World Heritage Site. According to the 2011 census, the town has a population of 183,491 making it the largest settlement in Dorset. With Poole to the west and Christchurch in the east, Bournemouth forms the South East Dorset conurbation, which has a total population of over 400,000. Before it was founded in 1810 by Lewis Tregonwell, the area was a deserted heathland occasionally visited by fishermen and smugglers. Initially marketed as a health resort, the town received a boost when it appeared in Dr Granvilles book, The Spas of England. Bournemouths growth really accelerated with the arrival of the railway and it became a recognised town in 1870. Historically part of Hampshire, it joined Dorset with the reorganisation of local government in 1974. Since 1997, the town has been administered by a unitary authority, giving it autonomy from Dorset County Council although it remains part of the ceremonial county. The local council is Bournemouth Borough Council. The town centre has notable Victorian architecture and the 202-foot (62 m) spire of St Peters Church, one of three Grade I listed churches in the borough, is a local landmark. 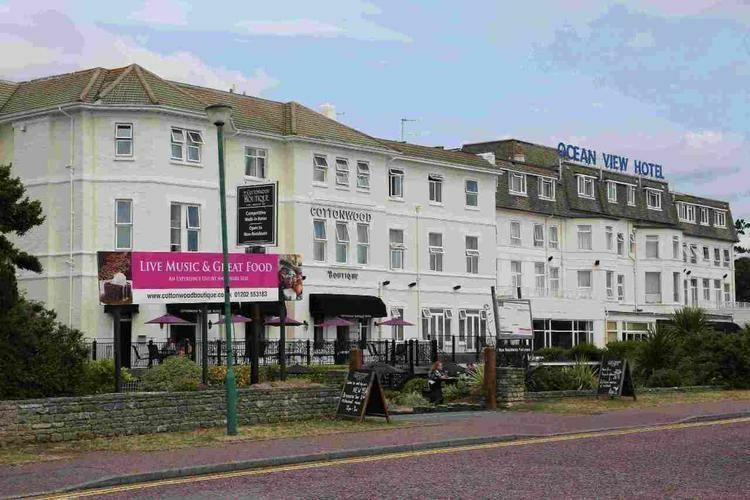 Bournemouths location has made it a popular destination for tourists, attracting over five million visitors annually with its beaches and popular nightlife. The town is also a regional centre of business, home of the Bournemouth International Centre or BIC, and a financial sector that is worth more than £1,000 million in Gross Value Added. 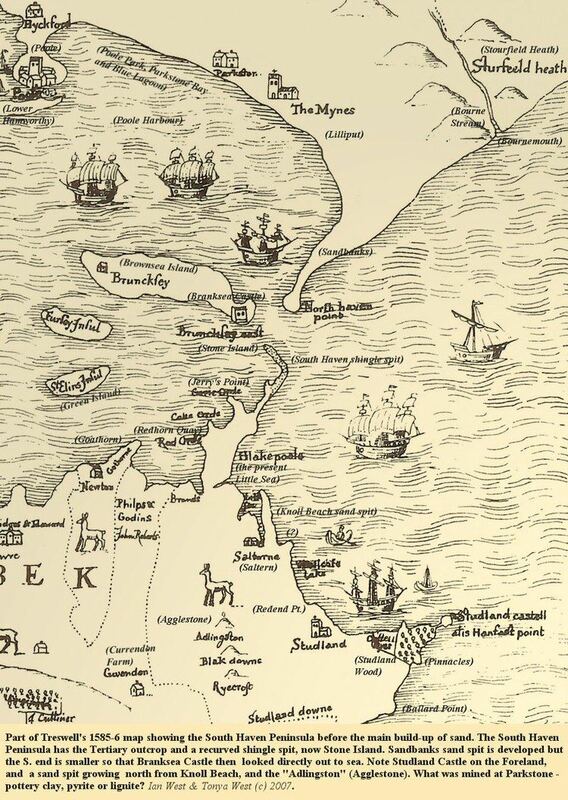 In the 12th century the region around the mouth of the River Bourne was part of the Hundred of Holdenhurst. The hundred later became the Liberty of Westover when it was also extended to include the settlements of North Ashley, Muscliff, Muccleshill, Throop, Iford and Tuckton, and incorporated into the Manor of Christchurch. Although the Dorset and Hampshire region surrounding it had been the site of human settlement for thousands of years, Westover was largely a remote and barren heathland before 1800. In 1574 the Earl of Southampton noted that the area was "Devoid of all habitation", and as late as 1795 the Duke of Rutland recorded that "... on this barren and uncultivated heath there was not a human to direct us". In the late 19th and early 20th centuries the Borough of Bournemouth would grow to encompass a number of ancient settlements along the River Stour, including Longham where a skull thought to be 5,500 years old was found in 1932. Bronze Age burials near Moordown, and the discovery of Iron Age pottery on the East Cliff in 1969, suggest there may have been settlements there during that period. Hengistbury Head, added to the borough in 1930, was the site of a much older Palaeolithic encampment. During the latter half of the 16th century James Blount, 6th Baron Mountjoy, began mining for alum in the area, and at one time part of the heath was used for hunting, although by the late 18th century little evidence of either event remained. No-one lived at the mouth of the Bourne river and the only regular visitors to the area before the 19th century were a few fishermen, turf cutters and gangs of smugglers. Prior to the Christchurch Inclosures Act 1802, more than 70% of the Westover area was common land. The act, together with the Inclosure Commissioners Award of 1805, transferred five thousand acres into the hands of five private owners, including James Harris, 1st Earl of Malmesbury, and Sir George Ivison Tapps. In 1809 the Tapps Arms public house appeared on the heath. A few years later, in 1812, the first official residents, retired army officer Lewis Tregonwell and his wife, moved into their new home built on land purchased from Tapps. The area was well known to Tregonwell who, during the Napoleonic wars, spent much of his time searching the heath and coastline for French invaders and smugglers. Anticipating that people would come to the area to indulge in the newly fashionable pastime of sea-bathing, an activity with perceived health benefits, Tregonwell built a series of villas on his land between 1816 and 1822, which he hoped to let out. The common belief that pine-scented air was good for lung conditions, and in particular tuberculosis, prompted Tregonwell and Tapps to plant hundreds of pine trees. These early attempts to promote the town as a health resort meant that by the time Tregonwell had died in 1832, Bournemouth had grown into a small community with a scattering of houses, villas and cottages. The town would ultimately grow up around the scattered pines and tree-lined walk to the beach, later to become known as the Invalids Walk. After the death of Tapps in 1835, his son Sir George William Tapps-Gervis inherited his fathers estate. He hired the young local architect Benjamin Ferrey to develop the coastal area on the east side of the stream. Bournemouths first hotel, later to become part of the Royal Bath Hotel, opened in 1838 and is one of the few buildings designed by Ferrey still standing. Bournemouth started to grow at a faster rate as Tapps-Gervis began developing the area similarly to the south coast resorts of Weymouth and Brighton. Despite enormous investment, the towns share of the market remained modest. In 1841 Tapps-Gervis invited the physician and writer Augustus Granville to stay. Granville was the author of The Spas of England, which described health resorts around the country, and as a result of his visit he included a chapter on Bournemouth in the second edition of his book. The publication of the book, and the increase in visitors seeking the medicinal use of seawater and the pine-scented air, helped the town to grow and establish itself as an early tourist destination. In the 1840s Benjamin Ferrey was replaced by Decimus Burton, whose plans for Bournemouth included the construction of a garden alongside the Bourne stream, an idea first mooted by Granville. The fields south of the road crossing (later Bournemouth Square) were drained and laid out with shrubberies and walks. Many of these paths, including the Invalids Walk, remain in the town today. A second suggestion of Granvilles, a sanatorium, was completed in 1855 and greatly raised Bournemouths profile as a place for recuperation. At a time when the most convenient way to arrive in the town was by sea, a pier was considered to be a necessity. Holdenhurst Parish Council were reluctant to find the money, and an attempt to raise the money privately in 1847 had only succeeded in financing a small 100 feet (30 m) jetty. The Bournemouth Improvement Act of 1856 granted greater financial autonomy to the town and a pier was approved that year. A number of wooden structures were built before an 838 feet (255 m) cast iron design by Eugenius Birch was completed in 1880. Under the Act, a board of 13 Commissioners was established to build and organise the expanding infrastructure of the town, such as paving, sewers, drainage, street lighting and street cleaning. The arrival of the railways in 1870 precipitated a massive growth in seaside and summer visitors to the town, especially from the Midlands and London. In 1880 the town had a population of 17,000, but by 1900, when railway connections to Bournemouth were at their most developed, the towns population had risen to 60,000 and it had become a favourite location for visiting artists and writers. The town was improved greatly during this period through the efforts of Sir Merton Russell-Cotes, the towns mayor and a local philanthropist, who helped to establish the towns first library and museum. The Russell-Cotes Art Gallery & Museum was housed in his mansion, and after his death it was given to the town. Bournemouth became a municipal borough in 1890 and a county borough in 1900. As Bournemouths growth increased in the early 20th century, the town centre spawned theatres, cafés, two art deco cinemas and more hotels. Other new buildings included the war memorial in 1921 and the Bournemouth Pavilion, the towns concert hall and grand theatre, finished in 1925. The town escaped heavy bombing during the Second World War, but the sea front incurred great damage when it was fortified against invasion. The cast iron lamposts and benches along the front were removed and melted down for munitions, as was much of the superstructure from both Bournemouth and Boscombe piers before they were breached to prevent their use by enemy ships. The large amounts of barbed wire and anti-tank obstacles along the beach, and the mines at the foot of the chines, took two years to remove when peace was finally achieved. The Royal National Lifeboat Institution stationed an inshore lifeboat at Bournemouth between 1965 and 1972. Coverage for the area has otherwise been provided from Poole Lifeboat Station. The Bournemouth International Centre (BIC), a large conference and exhibition centre, was constructed near the seafront in 1984, and in the following year Bournemouth became the first town in the United Kingdom to introduce and use CCTV cameras for public street-based surveillance. The Waterfront complex, which was intended to hold an IMAX cinema, was constructed on the seafront in 1998. The 19 m (62 ft)-high concrete and smoked glass building featured a wavy roof design, but was despised by residents and visitors alike because it blocked views of the bay and the Isle of Purbeck. In 2005 it was voted the most hated building in England in a 10,000-people poll conducted by the Channel 4 programme Demolition, and was pulled down in Spring 2013. The site is to be used as an outdoor event arena. The council still plan a larger redevelopment of the site and adjoining council land in the long term. In 2012 Bournemouth was unsuccessful in its bid for city status, losing out to Chelmsford in competition with 26 other towns to commemorate Queen Elizabeth IIs Diamond Jubilee. Bournemouth is about 94 miles (151 km) southwest of London at 50°43?12?N 1°52?48?W. The borough borders the neighbouring boroughs of Poole and Christchurch to the west and east respectively and the East Dorset District to the north. Poole Bay lies to the South. The River Stour forms a natural boundary to the north and east, terminating at Christchurch Harbour; while the River Bourne rises in Poole and flows through the middle of Bournemouth town centre, into the English Channel. The towns of Poole, Bournemouth and Christchurch form the South East Dorset conurbation with a combined population of over 400,000. Bournemouth is both a retail and commercial centre. Areas within Bournemouth include: Boscombe, Kinson, Southbourne, Springbourne, Throop, Westbourne and Winton. The areas geology has little variety, comprising almost entirely of Eocene clays which, prior to urbanisation, supported a heathland environment. Patches of the original heath still remain, notably Turbary Common, a 36-hectare (89-acre) site, much of which is designated a Site of Special Scientific Interest. This heathland habitat is home to all six species of native reptile, the Dartford Warbler and some important flora such as Sundew and Bog Asphodel. Small populations of Exmoor pony and Shetland cattle help to maintain the area. Bournemouth is directly north of Old Harry Rocks, the easternmost end of the Jurassic Coast, 96 miles (155 km) of coastline designated a World Heritage Site in 2001. Bournemouths own coastline stretches from Sandbanks to Christchurch Harbour and comprises mainly sandy beaches backed by gravel and sandy clay cliffs. These cliffs are cut by a number of chines which provide natural access to the shore. At the easternmost point lies Hengistbury Head, a narrow peninsula that forms the southern shore of Christchurch Harbour. It is a local nature reserve and the site of a Bronze Age settlement. Similarly to the rest of Dorset, Bournemouths economy is primarily in the service sector, which employed 95% of the workforce in 2010. This was 10% higher than the average employment in the service sector for Great Britain and 11% higher than the South West. Of particular importance are the financial and public service sectors which through 2011 continued to show sustained growth. Compared to the rest of the country, Bournemouth performed well in these two areas but under performed in transport and communications. 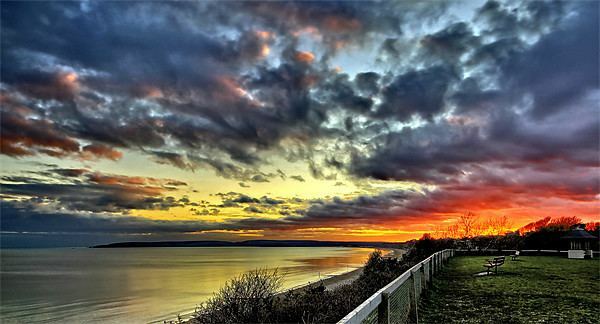 Bournemouth is a tourist and regional centre for leisure, entertainment, culture and recreation. Local author and former mayor, Keith Rawlings, suggests that Bournemouth has a thriving youth culture due to its large university population and many language school students. In recent years, Bournemouth has become a popular nightlife destination with UK visitors and many clubs, bars and restaurants are located within the town centre. In a 2007 survey by First Direct, Bournemouth was found to be the happiest place in the UK, with 82% of people questioned saying they were happy with their lives. Major venues for concerts include BIC, Pavilion Theatre and O2 Academy. Built in 1984, the BIC is also a popular place for party political conferences and has been used by all three major political parties. Its four auditoria make it the largest venue on the south coast. The O2 and Pavilion are older and are both Grade II listed buildings. The O2, which opened in 1895 as The Grand Pavilion Theatre, was initially used as a circus and later for music hall theatre. The Pavilion opened in 1929 as concert hall and tea room while also providing a venue for the municipal orchestra. It continues to provide traditional entertainment today, presenting West End stage shows, ballet and operas. Bournemouth has more than 200 listed buildings, mainly from the Victorian and Edwardian eras, including three grade I churches; St Peters, St Clements and St Stephens. The Russell-Cotes Museum is a Grade II* listed, villa completed in 1901. It houses artefacts and paintings collected by the Victorian philanthropist Merton Russell-Cotes and his wife during their extensive travels around the world. The four art galleries display paintings by William Powell Frith, Edwin Landseer, Edwin Long, William Orchardson, Arthur Hughes, Albert Moore, and Dante Gabriel Rossetti. It was Russell-Cotes who successfully campaigned to have a promenade built; it runs continuously along the Bournemouth and Poole shoreline. The Lower, Central and Upper Gardens are Grade II* public parks, leading for several miles down the valley of the River Bourne through the centre of the town to the sea. Bournemouth has a further 425 acres (172 ha) of parkland. Initially serving to compensate for the loss of common rights after common land was enclosed in 1802, it was held in trust until 1889 when ownership passed to Bournemouth Corporation and the land became five public parks: Kings Park, Queens Park, Meyrick Park, Seafield Gardens and Redhill Common. The detailed Land Use Survey by the Office for National Statistics in 2005 noted that the local authority area of Bournemouth had the third highest proportion of land taken up by domestic gardens, 34.6%, of the 326 districts in England; narrowly less than the London Boroughs of Harrow and Sutton at the time with 34.7% and 35.1%. One of Bournemouths most noted cultural institutions is the Bournemouth Symphony Orchestra which was formed in 1893 under Dan Godfrey. It became the first municipal orchestra in the country when in 1896, Bournemouth Borough Council took control and Godfrey was appointed musical director and head of the towns entertainments. Originally playing three concerts a day during the summer season, in the great glass palm house known as the Winter Gardens; the orchestra is now based in Poole and performs around 130 concerts a year across Southern England. Bournemouth is currently host to a number of festivals. The Bournemouth Food and Drink Festival is a ten-day event which combines a market with live cookery demonstrations. The Arts by the Sea Festival is a mix of dance, film, theatre, literature, and music which was launched in 2012 by the local university, The Arts University Bournemouth, and is set to become an annual event. The Bourne Free carnival is held in the town each year during the summer. Initially a gay pride festival, it has become a celebration of diversity and inclusion. Since 2008, Bournemouth has held its own air festival over four days in August. This has featured displays from the Red Arrows as well as appearances from the Yakovlevs, Blades, Team Guinot Wing-Walkers, Battle of Britain Memorial Flight including Lancaster, Hurricane, Spitfire and also the last flying Vulcan. The festival has also seen appearances from modern aircraft such as the Eurofighter Typhoon. The air festival attracts up to a million people over the four-day event. The town was especially rich in literary associations during the late 19th century and earlier years of the 20th century. P. C. Wren author of Beau Geste, Frederick E. Smith, writer of the 633 Squadron books, and Beatrice Webb, later Potter, all lived in the town. Paul Verlaine taught at Bournemouth a preparatory school and the writer J. R. R. Tolkien, spent 30 years taking holidays in Bournemouth, staying in the same room at the Hotel Miramar. He eventually retired to the area in the 1960s with his wife Edith, where they lived close to Branksome Chine. Tolkien died in September 1973 at his home in Bournemouth but was buried in Oxfordshire. The house was demolished in 2008. Percy Florence Shelley lived at Boscombe Manor; a house he had built for his mother, Mary Shelley, the writer and author of the gothic horror novel, Frankenstein. Mary died before the house was completed but she was buried in Bournemouth, in accordance with her wishes. The family plot in St Peters churchyard also contains her parents William Godwin and Mary Wollstonecraft, and the heart of her husband, Percy Bysshe Shelley. Robert Louis Stevenson wrote The Strange Case of Dr. Jekyll and Mr. Hyde and most of his novel Kidnapped from his house "Skerryvore" on the west cliff, Westbourne. Count Vladimir Chertkov established a Tolstoyan publishing house with other Russian exiles in Iford Waterworks at Southbourne, and under the Free Age Press imprint, published the first edition of several works by Leo Tolstoy. Author Bill Bryson worked for a time with the Bournemouth Echo newspaper and wrote about the town in his 1995 work Notes from a Small Island.